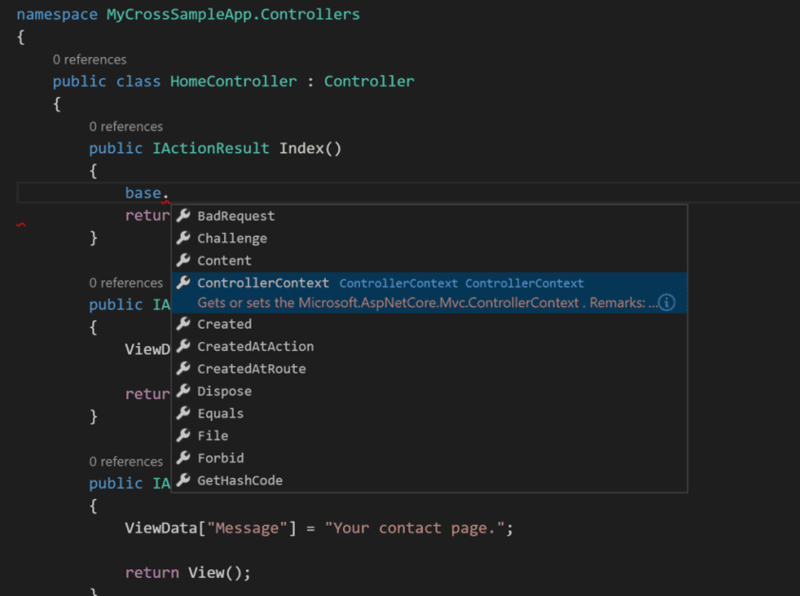 In this post I will walk through what I have been doing to reduce the friction of switching between Mac and Windows while developing cross platform applications using .NET Core. 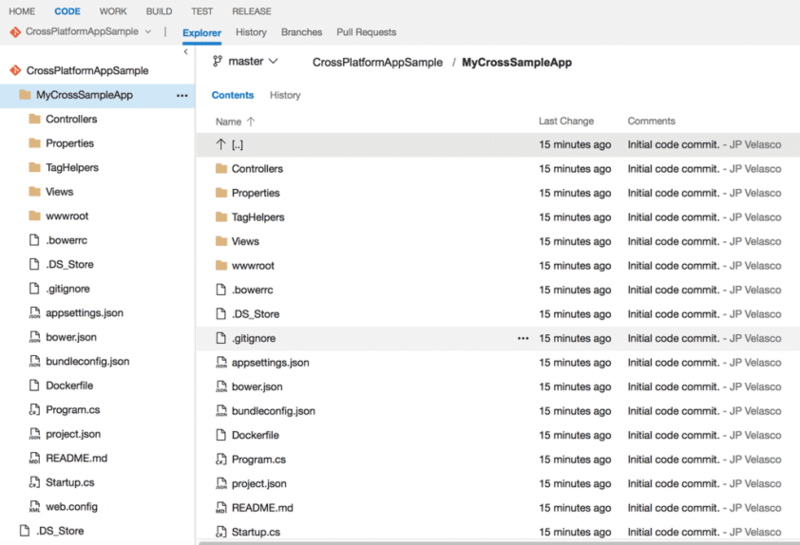 There are a number of prerequisites that you will need to setup in order to develop in a cross platform machine environment. Note that we will be leveraging GIT and VSTS in order to easily share the code between machines once we have the tooling in place. We will leverage Homebrew on the Mac in order to install all of the prerequisites needed for creating and running ASP.NET Core applications such as http://yeoman.io/ on the Mac. 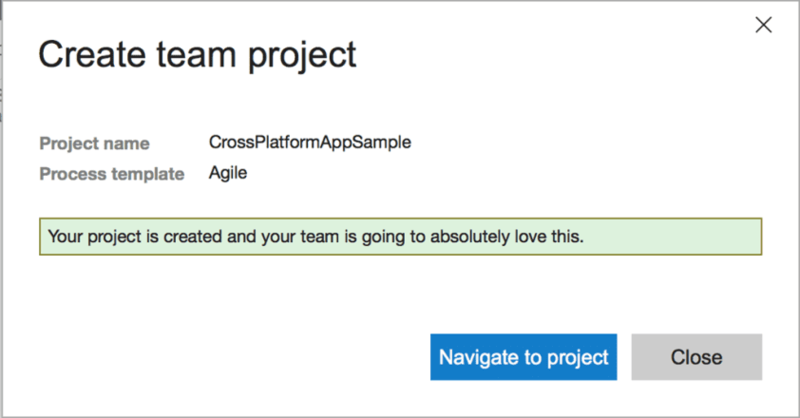 We will first start by setting up a new project in VSTS and we will use Git as our source code control engine of choice. 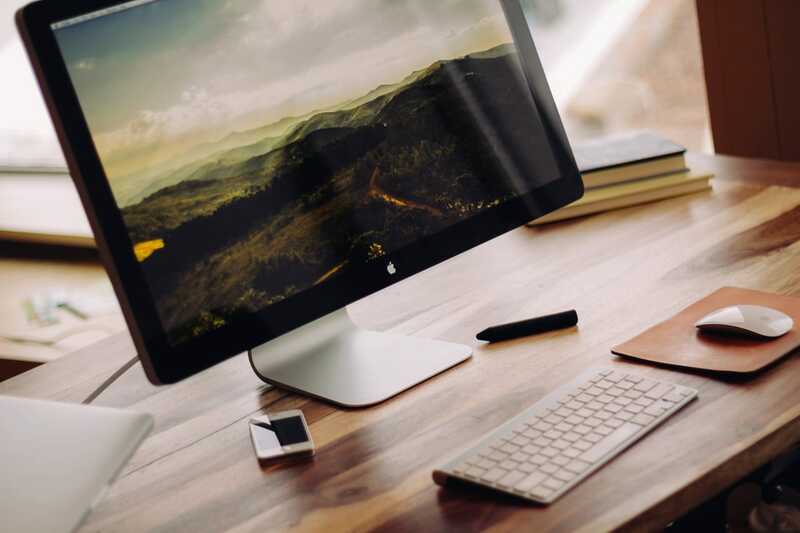 By doing this we can easily clone the projects we work on and push the changes for Mac and Windows to be shared. If all is well, you will get a message that says: Your system is ready to brew. 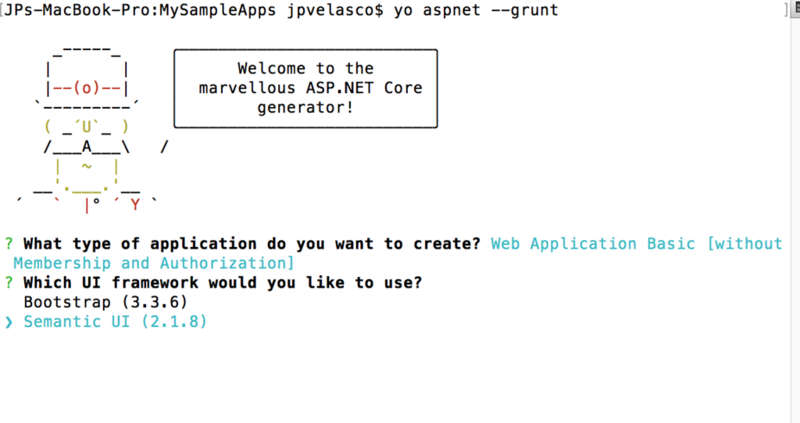 Getting Homebrew installed is not just a requirement for .NET Core, it is actually also an excellent way to install the rest of the dependencies you will need for any development task on your Mac using .NET Core. With that said, I suggest you follow the rest of the installation documents for .NET Core on Mac & Windows before moving forward. 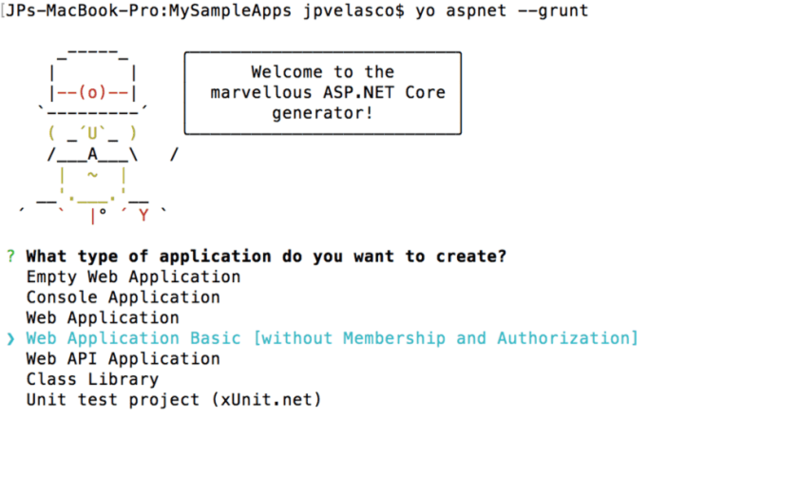 Now you will create a sample ASP.NET application that we can then push to our repository and clone it in a Windows environment. 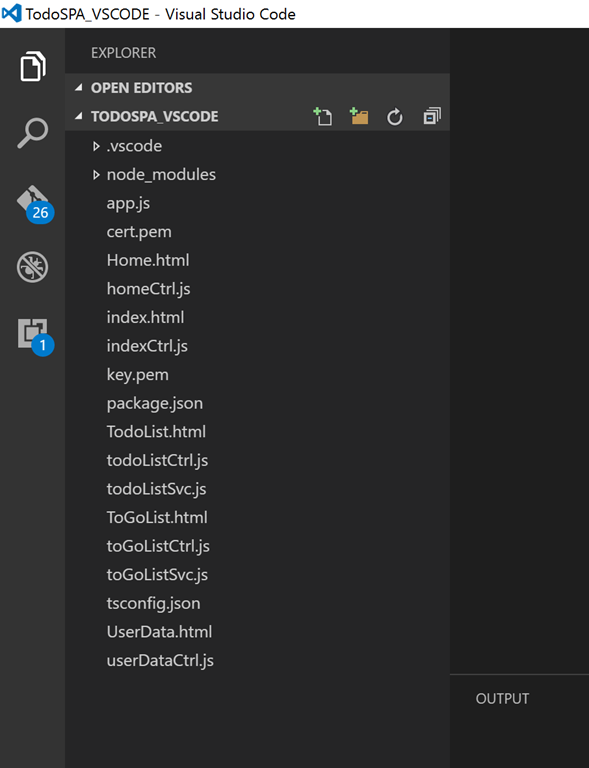 .NET Core offers command line tooling that makes is simpler to create applications by leveraging scaffolding generators such as http://yeoman.io/ The process for doing so is again well documented in the ASP.NET Core documents site: https://docs.asp.net/en/latest/client-side/yeoman.html#install-node-js-npm-and-yeoman You can follow those docs if you want to know more about how to generate ASP.NET Core projects, for brevity purposes of this post I will not dive into much detail on that. 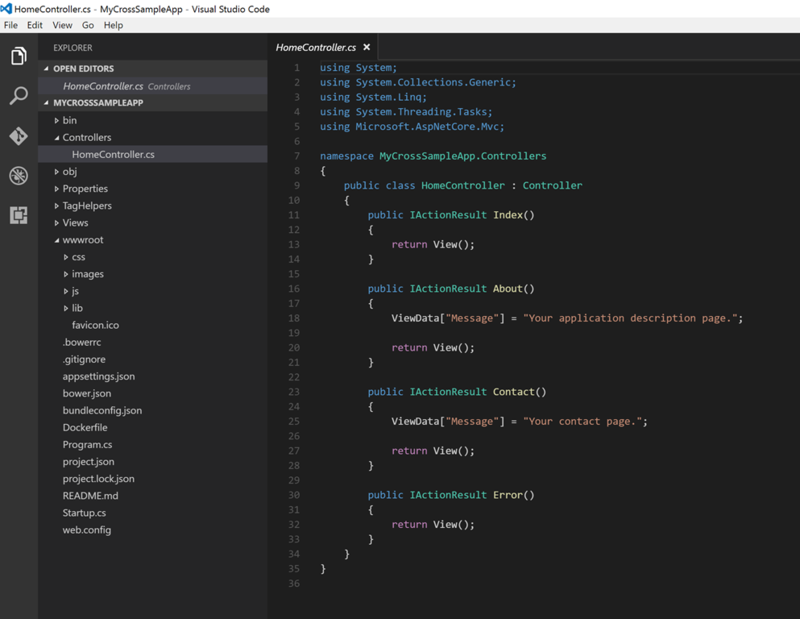 Last but not least, install Visual Studio Code on both Mac & Windows. Once you have an active account, you can create a new project. For this sample I have created a new project called CrossPlatformAppSample. 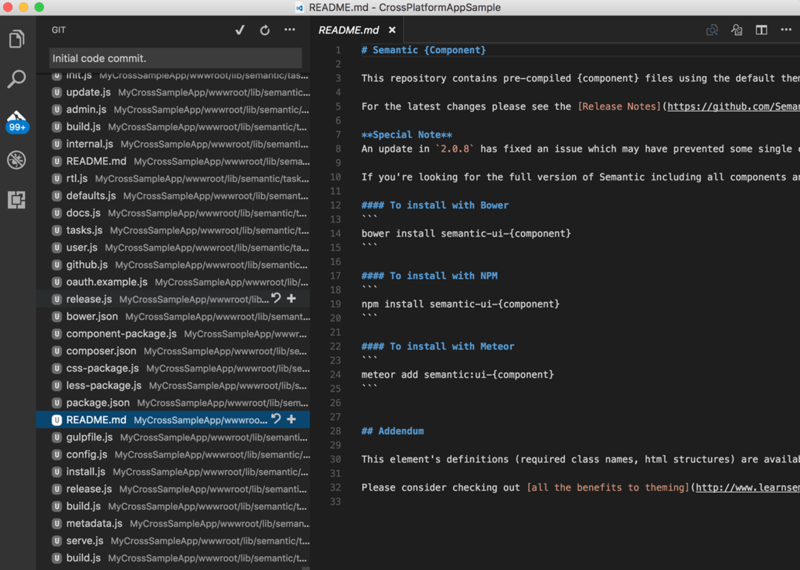 Now we need to clone our repository into our Mac, we will then add an ASP.NET Core project to the repository and push our new code. However, in order to clone the repository we will have to first authenticate to it in a secure manner. 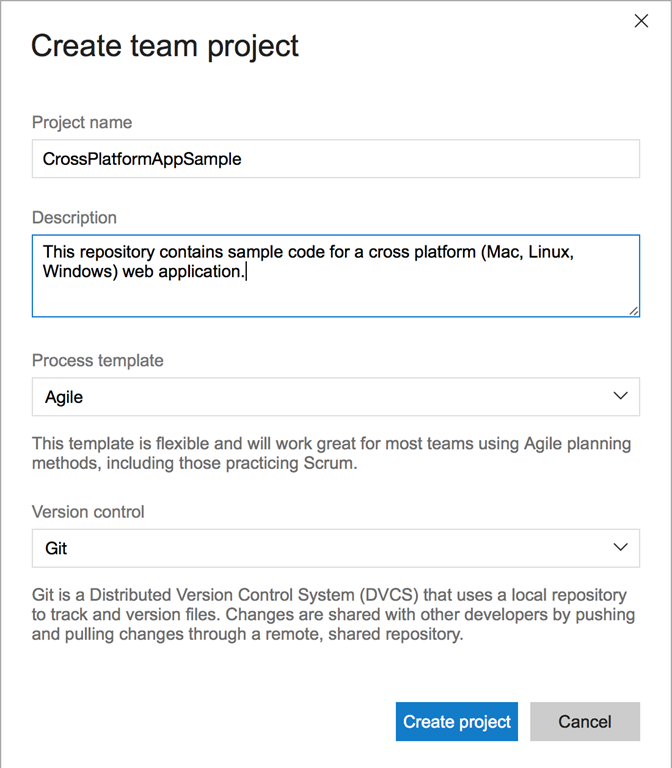 Thankfully, there is an open source tool that works with VSTS and Git on Mac/Windows in order to provide a secure way to work with a repository without having to always provide credentials for each session: https://github.com/Microsoft/Git-Credential-Manager-for-Mac-and-Linux/blob/master/Install.md If you are really interested in how the tool works, you can look at the code in GitHub, but suffice it to say that the reason this is a preferred tool is because your Git credentials will be stored on the Mac’s Keychain when you first authenticate, thus making it more secure than saving your credentials in some insecure file or having them be prompted to you every time you connect. Under the covers the tool uses an OAuth2 flow to get the proper token and authenticate you to VSTS, this is indeed a very nice security feature that leverages open security protocols. 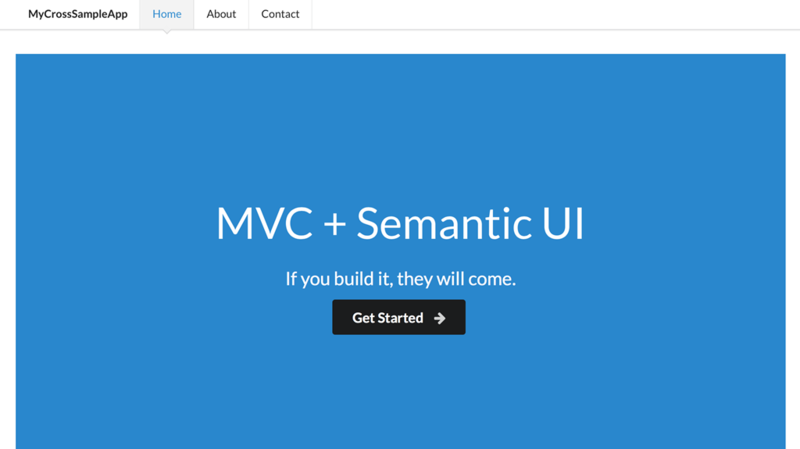 Your tools should be all set, now let’s create the sample project. The first time you clone the repository you will get a prompt for your VSTS GIT token credentials, once you enter them once, your credentials will be saved in your Mac’s Keychain and you shouldn’t see any more prompts. Note that if this is the first time you access the cloned repository you will get a prompt for your VSTS credentials, that is the ***Git Credential Manager for Mac and Linux (GCM4ML) ***tool at work. Subsequently when you access the project folder again using VSC you will not get the prompt since your credentials will be encrypted and stored in the Mac’s Keychain, a very nice secure access feature. Now you need to clone the same repository into your Windows client. 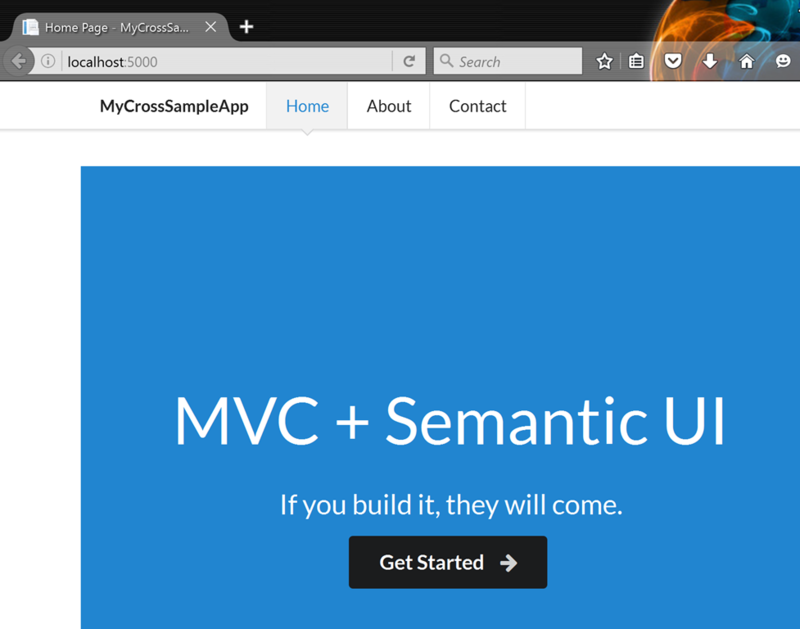 Note that by now you should have already installed the equivalent tooling for developing ASP.NET Core apps in Windows, getting a secure clone from VSTS using the GCM4ML tool and you have your VSC ready to view your code. The project compiles and the web server starts without a hiccup! The promise of cross platform development is holding true, at least for my tests in Mac and Windows, but even then this is a tremendously great feat to pull off. 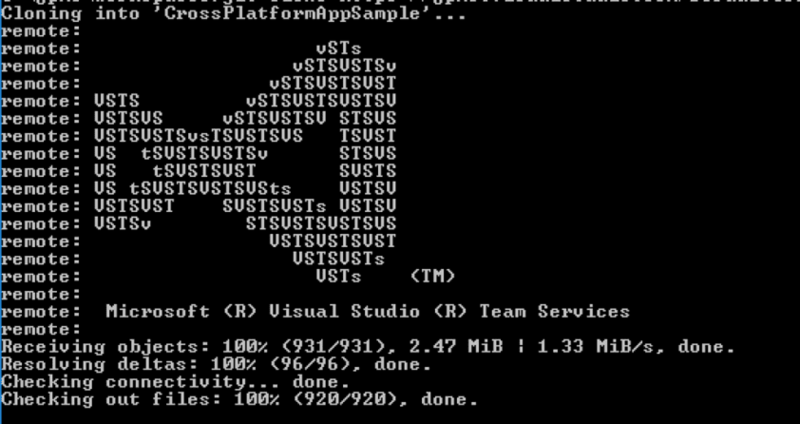 Kudos to Microsoft and all the people involved in making cross platform development a reality. Beyond any doubt accomplishing this was not easy, but I am thankful that it was done, as this style of development will reduce a lot of friction for me (and many others) whenever I switched between platforms/machines/OS. Until next time, happy cross platform development!! !